ACM's Special Interest Group on Data Communication (SIGCOMM) enjoyed an active and successful year, which included the establishment of a new "information services director" position to deal with the rapidly evolving issues surrounding electronic access to publications and other SIG materials, the completion of the first year of publication of the new IEEE/ACM Transactions on Networking, and the sponsorship of three major conferences. SIGCOMM's quarterly newsletter, the Computer Communication Review, has consistently earned its place among the most respected and influential technical journals in the data communication and networking field. The annual SIGCOMM Conference continues to attract the best papers reporting the results of research and practice in the field, and has been joined during the past four years by the Computers, Freedom and Privacy Conference (for which SIGCOMM provides a 50% sponsorship) and the Multimedia Conference (in which SIGCOMM has collaborated with five other SIGs). We ended the fiscal year with a substantial budget surplus but steadily declining membership numbers. SIGCOMM enjoys a healthy and growing fund balance, and has had no difficulty establishing and adhering to a balanced budget during the past four years. A summary of the SIGCOMM FY'94 financial results can be found in the SIG Board Report Appendix D.
The annual SIGCOMM conference continues to be one of the most highly regarded venues for the presentation of current research and experimental results by members of the data communication and networking community. Survey results show that of the 220 (on average) conference attendees, about 75% are "core" SIGCOMM participants, for whom the SIGCOMM conference is a regular and important part of their professional schedules. In recent years, SIGCOMM has held its annual conference in Philadelphia (1990), Zurich (1991), Baltimore (1992), and San Francisco (1993). The 1994 conference will be held at University College London in London, England on August 31 - September 2, 1994. A single day of tutorials is scheduled for August 30. In 1992, SIGCOMM undertook a 50% sponsorship of the Computers, Freedom and Privacy conference, which has developed into a long-term commitment of support for an annual CFP conference. CFP has established itself as an important venue for the discussion of issues related to the interaction between computer communication and human values. 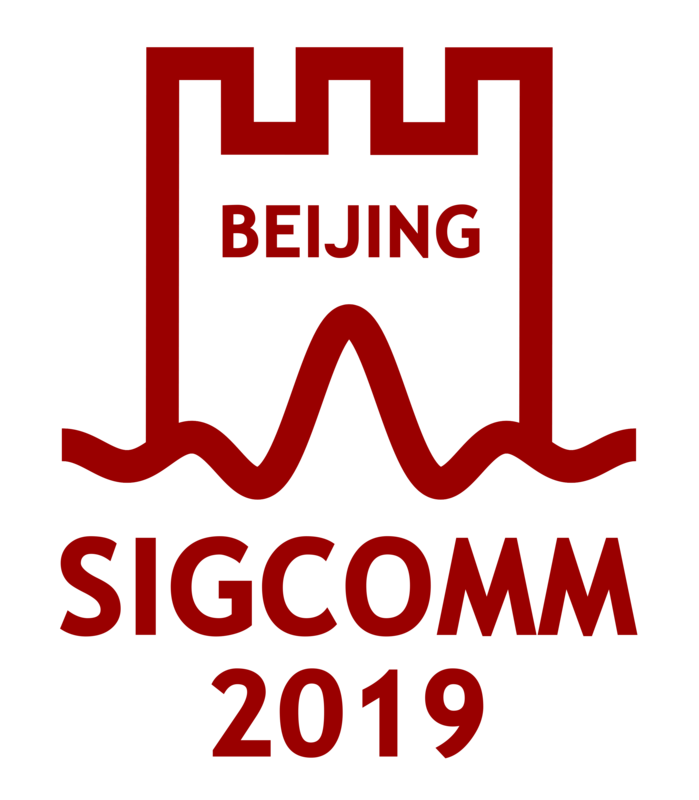 SIGCOMM joined with five other SIGs in a "Multimedia Steering Committte" to establish a firm basis for the independent "conference-only" SIG responsible for the successors, in 1994 and beyond, of the successful Multimedia '93 conference. SIGCOMM plans to sponsor an annual conference on Wireless Networking beginning in 1995, in which it expects to collaborate with SIGACT and SIGMETRICS. The motivation for an additional annual conference is to ensure that SIGCOMM is an active participant in future new networking areas. The SIGCOMM newsletter, the Computer Communication Review, has maintained a regular quarterly publication schedule (January, April, July, and October) with, on average, 120 content pages per issue (not counting the Proceedings of the annual SIGCOMM Conference, which are published in a separate binding and distributed with the October issue of CCR). A recent addition to CCR is an invited guest editorial column written by each of the previous winners of the annual SIGCOMM Award. This feature provides CCR readers with the observations, insights, opinions, predictions, and challenges of people who have played a significant role in the development of the field of data communication and networking. Two regular features of CCR that have been long-time favorites have been enhanced. The bibliography of recent publications on computer communication has grown to include over 14 journals and magazines and the Internet RFCs. The bibliography is now divided into approximately 40 subareas. The regular status report on international networking standards has recently been expanded to include a semi-annual report on the status of Internet Standards, to complement the semi-annual report on OSI and OSI-related standards. The IEEE/ACM Transactions on Networking journal was launched in 1993 as a collaborative enterprise of SIGCOMM, the IEEE Computer Society, and the IEEE Communications Society. The new Transactions has been phenomenally successful, attracting approximately 10,000 individual subscribers during its first year of publication, and demonstrating the viability of a large-scale publishing collaboration between the IEEE and ACM. The SIGCOMM Award recognizes lifetime achievement in and contributions to the field of data communications. It is awarded annually to a person whose work, over the course of his or her career, represents a significant contribution to the field and a substantial influence on the work and perceptions of others in the field. The winner receives a $2,000 cash award and a plaque commemorating the award, which are presented to the winner by the SIGCOMM chairman during the opening session of the SIGCOMM conference. The winner is also invited to deliver a keynote address to the opening session. The names of all of the SIGCOMM award winners are printed in each issue of the SIGCOMM Computer Communication Review. The winner of the 1994 Award is Paul Green. Past winners of the Award are Paul Baran, David Clark, Leonard Kleinrock, Hubert Zimmerman, Alexander Fraser, and Robert Kahn. SIGCOMM's total membership has declined steadily year to year for the past four years. The membership decline accelerated starting in FY93, and is a source of considerable concern to the SIGCOMM officers. SIGCOMM has recently launched two membership initiatives, one aimed at membership attrition (existing SIGCOMM members who choose not to renew their membership) and one aimed at attracting new members. A letter from the SIGCOMM chairman will be sent to every "lapsed" member a month or so after non-renewal, pointing out the benefits of SIGCOMM membership and encouraging the non-renewer to re-enlist; the letter will include a membership application form and a postage-paid reply card with several "post-mortem" survey questions for non-renewers who decide to persist in their apostasy. The astonishing success of the IEEE/ACM Transactions on Networking suggests that there are thousands of people who are sufficiently interested in data communication and networking to subscribe to ToN, but are not members of SIGCOMM. A letter from the SIGCOMM chairman describing the SIG and its benefits, and including a membership application and the April 1994 issue of CCR, was mailed in June (1994) to a list that includes more than 5,000 subscribers to ToN (from which current SIGCOMM members have been removed). SIGCOMM recently established the appointed position of Information Services director, in response to the work that the ACM Network Services organization has done over the past few years to provide on-line information services and network connectivity through the establishment of resources at the Internet address "acm.org". Since this is a new activity, the information available to SIGCOMM members is still minimal; the SIGCOMM gopher on acm.org contains the standard SIG information, including contact information for the SIGCOMM conference, a SIGCOMM Fact Sheet, and a membership application form, but our plans for this facility are much bigger! sigcomm@acm.org  for general questions and comments sigcommex@acm.org  to reach the members of the SIGCOMM executive committee sigcommkp@acm.org  to reach a list of SIGCOMM "key people"
In almost every respect, SIGCOMM is robust, healthy, and growing; the "almost" is due, however, to the fact that individual membership is declining rapidly. This is the dominant near-term concern for SIGCOMM and its officers. It raises a very fundamental question: why is membership in SIGCOMM falling at the same time that the field of data communication and networking is growing dramatically and SIGCOMM's own technical activities (especially publications and conferences) are more successful than ever? It appears that other SIGs face similar questions. Although we expect that the membership initiatives we have launched this year will reverse the declining-membership trend in at least the short term, the SIGCOMM officers believe that the apparent contradiction of a rapidly expanding technical field and declining membership in the SIG associated with that field forces ACM and its SIGs to seriously evaluate their relationship to current and potential constituencies. In the long term, we believe that SIGCOMM's viability (in terms of its relevance and value as a professional society) will depend on changing the way in which it operates so that its services to members - especially publications - are more accessible and more directly related to the way in which members' professional lives are organized. Electronic publication of CCR and conference proceedings is the most obvious element of such a new strategy, but not the only one. The SIGCOMM executive committee has scheduled a full-day strategic planning meeting during the week of the 1994 conference (at the end of August) to deal with these issues.